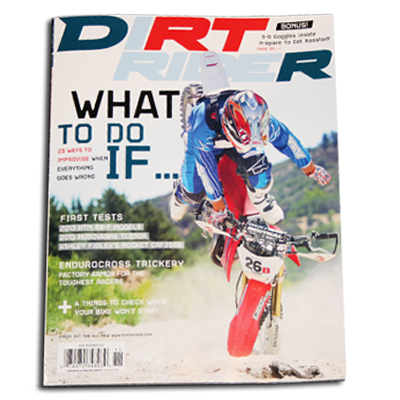 Dirt Rider - Following up their successful 3D campaign in 2010 for the Honda CRV sport hybrid that ran in Maxim, Motor Trend, and Car and Driver magazines, Honda called on American Paper Optics again to prepare a spectacular 3D ad for Honda. 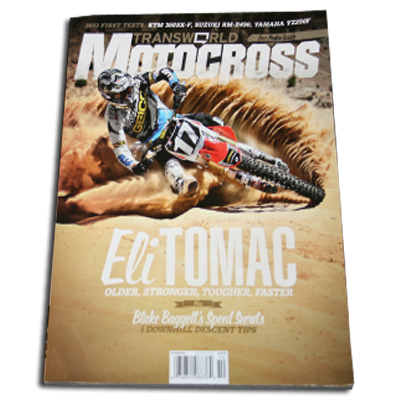 A two page 3D action spread ran in both Dirt Rider and MotorCross magazines with 6” x 8” 3D inserts that included radical 3D viewers shaped like motorcycle masks. 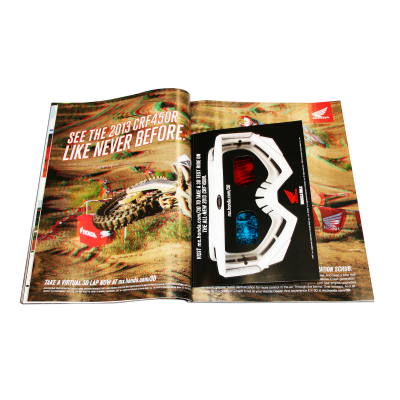 MotorCross - Following up their successful 3D campaign in 2010 for the Honda CRV sport hybrid that ran in Maxim, Motor Trend, and Car and Driver magazines, Honda called on American Paper Optics again to prepare a spectacular 3D ad for Honda. 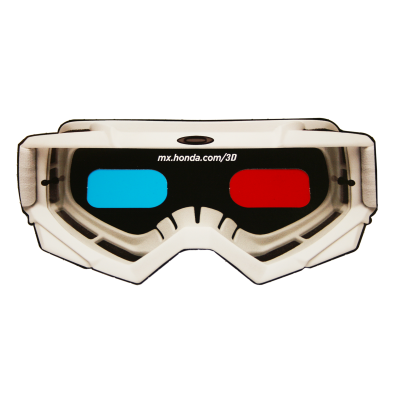 A two page 3D action spread ran in both Dirt Rider and MotorCross magazines with 6” x 8” 3D inserts that included radical 3D viewers shaped like motorcycle masks. Honda Ad - Following up their successful 3D campaign in 2010 for the Honda CRV sport hybrid that ran in Maxim, Motor Trend, and Car and Driver magazines, Honda called on American Paper Optics again to prepare a spectacular 3D ad for Honda. 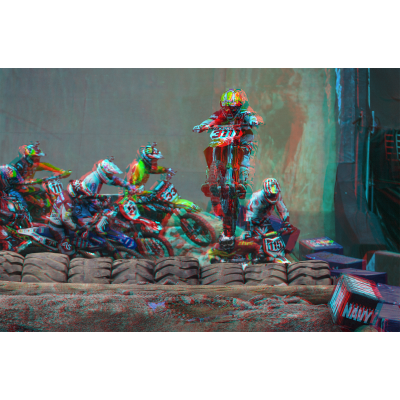 A two page 3D action spread ran in both Dirt Rider and MotorCross magazines with 6” x 8” 3D inserts that included radical 3D viewers shaped like motorcycle masks.